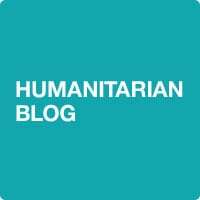 The Humanitarian Blog was started by Ali Wyne '08, who wished to launch a corner of mitadmissions.org devoted to the many people at MIT who are working to change the plight of the world's impoverished - whether by war or famine or disease or any of the other myriad ills that afflict so many. Ali will serve as this year's host, and he hopes that The Humanitarian Blog will continue to tell these stories long after he has graduated. In the words of Ali, "the true humanitarian is one who cares not that his or her efforts may never reach fruition or elicit attention." Ali once wondered whether there were any "true humanitarians" in the world. He had come to believe that most people who professed an interest in others' welfare were truly interested in self-aggrandizement. But, he notes, "the people who I've met at MIT have compelled me to dispense with this cynicism." Visit YouTube to Participate in the World Economic Forum! Have world leaders watch and respond to your video at this year's World Economic Forum!